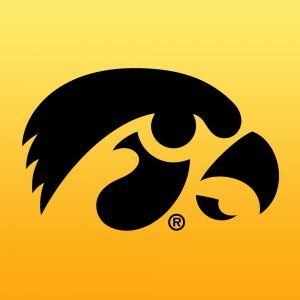 BLOOMINGTON, IN – The Iowa men’s basketball team picked up an important road victory in Big Ten Conference play Wednesday night, defeating the Indiana Hoosiers 77-72. Iowa had three players score in double figures tonight: Jordan Bohannon (25), Tyler Cook (21), and Joe Wieskamp (13). Cook and Bohannon each reached 20 points for the 15th time in their careers. Jordan Bohannon scored Iowa’s final 11 points over the final 90 seconds of the game. Tyler Cook netted 13 of his 21 points in the first half. 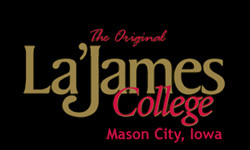 The junior moved into a tie with Val Barnes for 26th on Iowa’s all-time scoring list. Jordan Bohannon scored 25 points tonight passing Reggie Evans, Carl Cain, and Glen Worley for 42nd on Iowa’s career scoring chart. 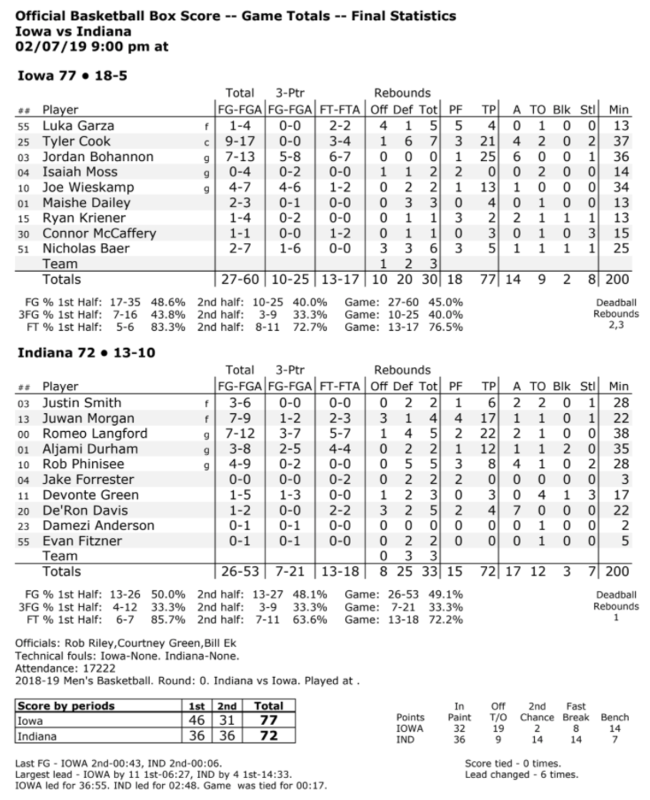 Tonight’s win snapped a three-game losing streak to the Hoosiers. Iowa had a player make all his 3-point attempts in the first half (min. four attempts) for the fourth time this season. Freshman Joe Wieskamp made all four of his 3-point attempts tonight at Indiana and was 4-of-4 vs. Illinois (Jan. 20). Junior Isaiah Moss was 4-of-4 at Penn State (Jan. 16) and was 5-of-5 vs. Illinois (Jan. 20). Iowa has won three of its last four road games in the Big Ten. Fran McCaffery moved into second place on Iowa’s all-time wins list with tonight’s win surpassing Lute Olson (169). Iowa returns to action on Sunday when it hosts Northwestern. Tipoff is set for 5:31 p.m. (CT) on Mediacom Court at Carver-Hawkeye Arena.